CASTER: I decided to go with the maximum amount of positive caster possible. CAMBER: I decided that one degree negative on all four wheels was the best starting point for testing and may be the best compromise on handling VS. tire wear. Toe: with these custom settings, I would take the recommendation of the alignmen specialist who has 25 years of experience and has aligned race cars. Knowing that I was going to have to drive 50 miles from the engine shop to the alignment shop, I spent many hours with a tape measure and a level to get the initial eyeball alignment as close as possible. 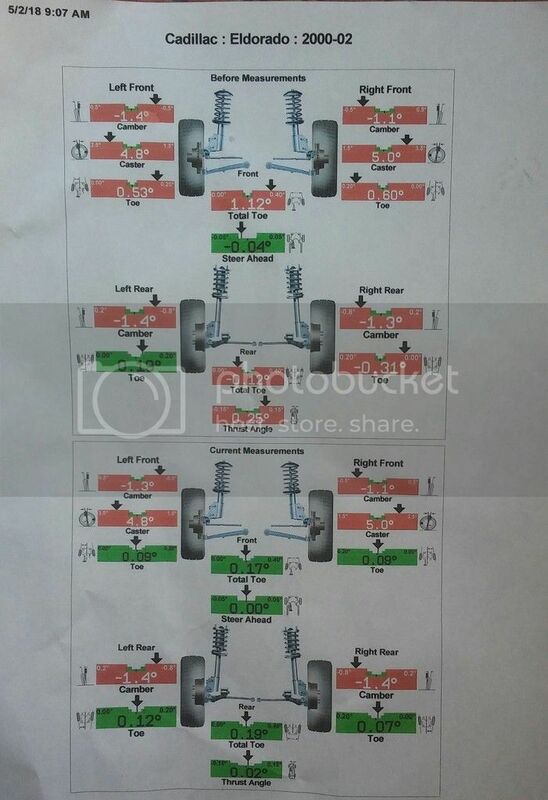 As you can see from the picture, the front and rear toe was the only thing that the specialist recommended changing. He was impressed with my backyard alignment. ? I'll cover each in its own post with more details. Changing front coil springs: I had to cut the front coils two more times to get the front ride height down far enough. I liked the look until I added the strut tower brace plates, because they picked the front back up a little. I could live with the look, but the ride was VERY, VERY firm. I could not cut the springs any more, because I already didn't have to use a spring compressor to install them and they were almost too short... Well, they settled just a bit and that was enough to allow slack up top when the suspension fully extended.... The result was trashed upper strut bearings. 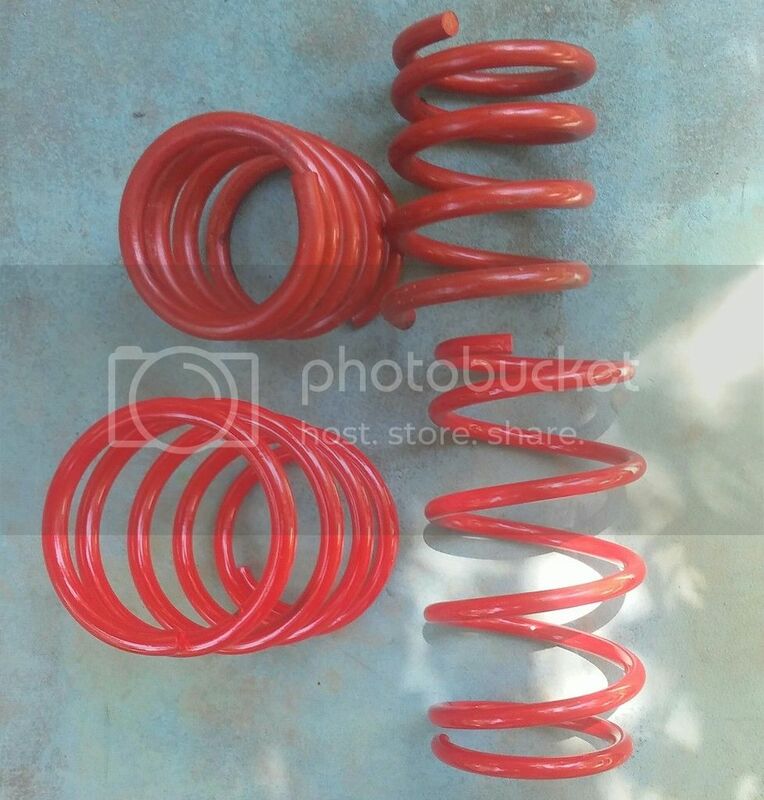 I ordered some DNA Motorsport racing springs for a Grand Prix. They are advertised at 450 lbs./inch but I measured them and they are actually 355 lbs./inch which is what I wanted to start with. I measured my current springs after I pulled them off. Wow! I did not realize how stiff the last two cuts had made them. They calculated at 890 lbs./inch! Here is a picture of them as removed along with the DNA springs. I'm basically at a stopping point for the re-design and rebuild of the front and rear racing suspension as well as the wheel and tire package. 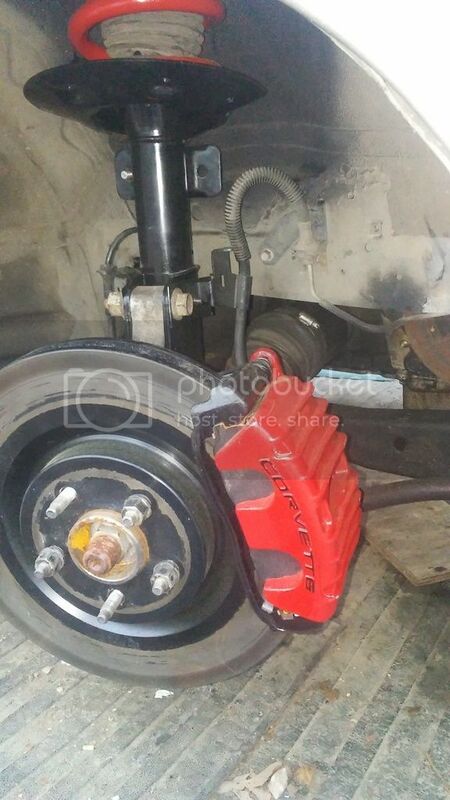 There are some minor things to do later like adapt a flat ball joint-style bushing to replace the front LCA polyurethane bushings and in the rear, replace all bushings with polyurethane units. But I am far enough along to test and race it. I'll post pictures and videos as they become available. This has been a very long adventure. I now have the world's only last generation Eldorado that has been tuned for racing. I am sorry I drifted off for awhile. Your persistence and hard work here has been outstanding. How has it been running, how did testing go? I was on facebook for awhile but I really don't care for it, it feels like a food fight.